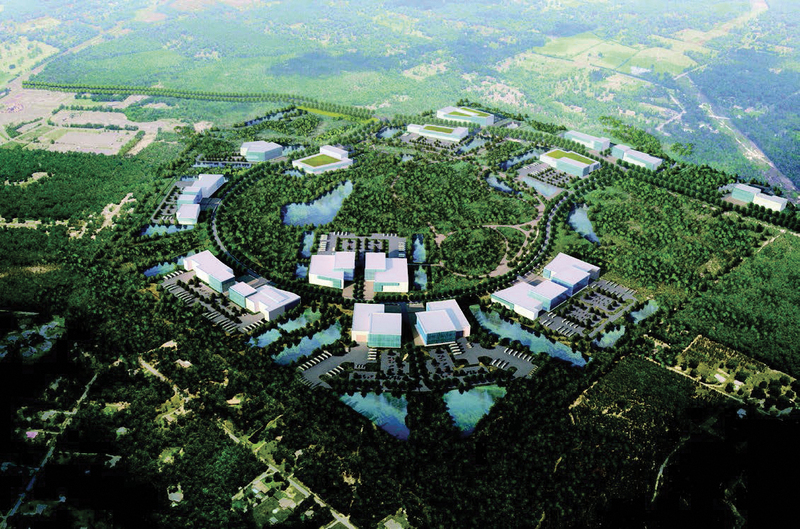 The preliminary design contains 13 lots ranging from 10.2 to 32.6 acres in size, totaling 268.4 acres. All lots can be increased in size by including adjacent wetlands and/or steep slopes; allowing greater development of the buildable areas of each lot, while keeping the unbuildable areas in setbacks along lot perimeters and/or as part of each lot’s coverage ratio land. With a few exceptions, it is generally not possible to combine smaller lots into larger lots in the Live Oak Bluff site because of road and rail layout as well as other considerations.